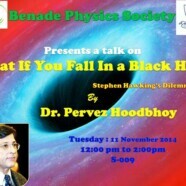 BPS presents a talk by Dr Pervez Hoodbhoy Zohra and ZZ Ahmed Foundation Distinguished Professor for Mathematics and Physics, titled ‘What If You Fall in a Black Hole? Stephen Hawking’s Dilemma’. 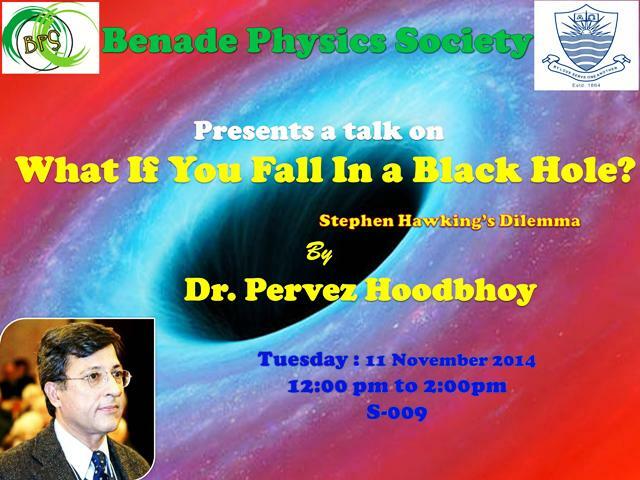 The talk will be held on Tuesday 11 November 2014 in S-009, from 12:00 pm to 2:00 pm.